Earlston Scout Group owns and operates a 15 seater Ford Transit minibus. It is available to registered groups under the Small Bus Permit Legislation (Section 19, Road Traffic Act), further details can be found in the hire policy below. The bus is fitted with 3 point seatbelts on all seats, and those in the rear cabin are fitted with height adjusters making them suitable for most children. Drivers must be aged 25-70, and have held a full UK driving licence for a minimum of 2 years. Any driver with points on their licence must be approved in advance by our insurers, who retain the right to vary the conditions of use. Failure to return the bus in an acceptable state may incur additional cleaning charges. 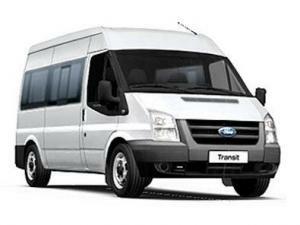 The bus is available to community groups in the Earlston area at a charge of £35 per day, or part thereof. The bus is supplied with a full tank of fuel, and should be returned likewise. Following the introduction of the new GDPR guidelines covering the security of personal data, Earlston Scout Group will only hold Driver Licence and Registration forms until 1 month following the completion of a hire and will require new forms to be submitted for subsequent hires. Forms will be securely shredded to prevent the risk of data breach. If you are interested in enquiring about the minibus, please use the form below.